To sucker or not? That is the question. 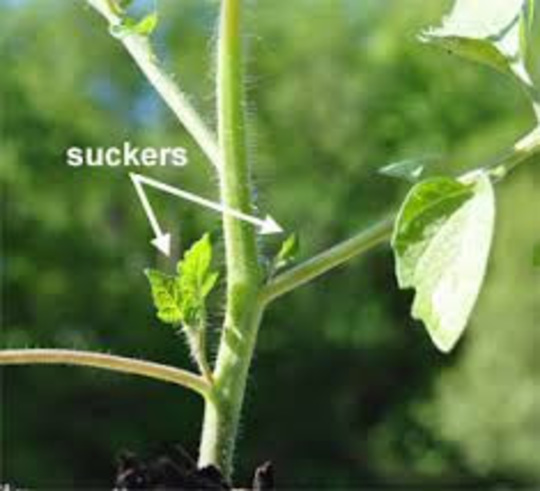 Do you nip the suckers on your tomato plants? What are the benefits? Could be a tedious chore if you are growing a dozen plants or so. Is suckering worth the effort? Leave them on bush varieties an nip them out on the others. we always remove the side shoots until the plant is the height we want it to be then nip out the top. we grow about 12 plants and every day we check for these side shoots and you always seem to miss the odd one. don't know if ours are bush or not but we always have more than enough toms. I think the bush varieties are the ones you can grow outside in tubs and hanging baskets. I leave the shoots on them. I always take them off the varieties I grow inside. Here in the desert, we leave all of the "suckers" on to help shade the fruit. In climates where shading the fruit delays ripening, it might be a good idea to remove the suckers. I've always wondered how you grow tomatoes in the desert. Apparently you do a good job. I bet you don't get as many pests & pathogens as the rest of us due to the harsh desert climate but tomatoes & peppers must love the desert heat.